Come join the fun at the Powell Historical Preservation Society's grand July 4th celebration at the Brumley's Hill and Hollow grounds in Powell, Mo. 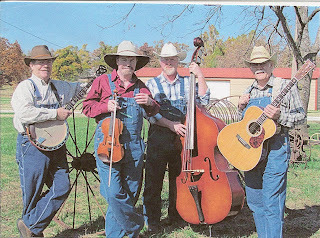 This year for your enjoyment will be the Rusty Plow band preforming on stage, starting at 6:00 pm. This is a great band that entertains in Northwest Arkansas and Southwest Missouri. You don't want to miss this band. They are GREAT! Admission and parking are free. Food available, children's activities, and good visiting for all. Later at dark, there will be a display of spectacular fireworks, courtesy of Bob and Tudy Brumley.